I used to brew my own beer back in the 90s, and despite excellent results, I’ve never drank a ton of beer at home, so a 5-gallon batch left me with an excess of malty goodness, the urge to sing “99 bottles of beer on the wall,” and very little space in my apartment or fridge. I would wait a month or more between brews because I still had so much beer on hand, and eventually, it became a pain and not so much fun. 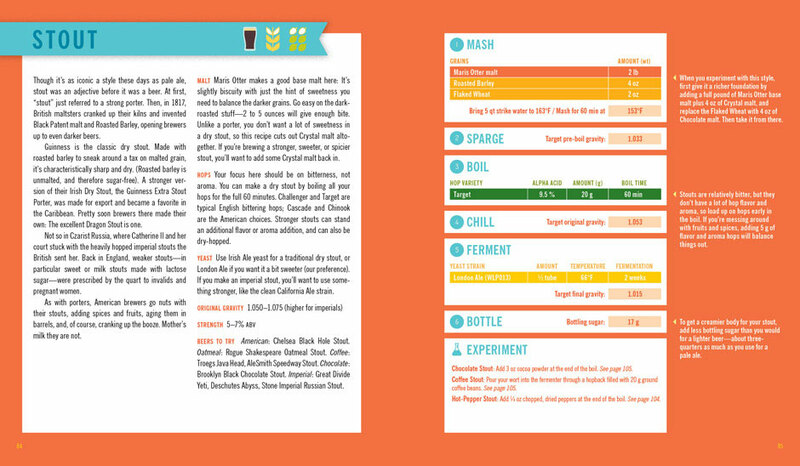 I can’t believe it took until 2011 for someone to simplify the process, and I am a little ashamed that I didn’t think of it, but a local SF couple just released Beer Craft , the book of homebrewing in one-gallon batches. This makes me want to brew again! I just got my copy and am reveling in the concise content and quirky design. 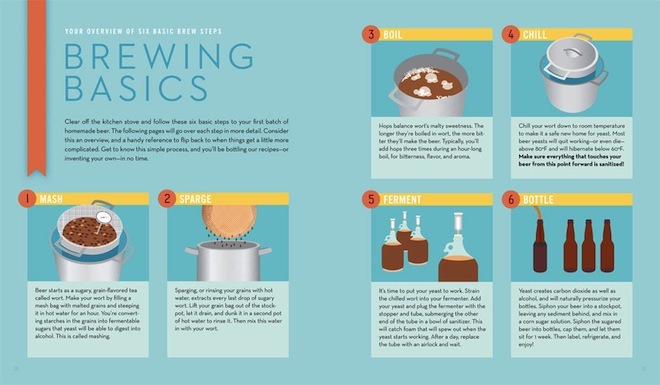 They run through the history and the how-to with great infographics (even more impressive… and accurate than my napkin illustration), they profile craft brewers and there’s even a section on designing your own labels. The one strategy I would add to this mini-compendium is alternate bottling. I recall the nuisance of saving up non-screw-top beer bottles, and having to buy a bottle-capper to clamp down single-use caps on 50 bottles. Even 10 bottles for a gallon is a hassle in my book, but 750ml bottles from sparkling wine or Belgian beer are ideal, because 5 x 750ml = .99 gallons. You can buy plastic champagne corks and cages at a brew supply store, which are all reusable and require no special gizmo to seal them up!